Getting a cash offer for your house may seem to good to be true. But it’s real! Salt Lake Homes For Cash will pay you cash for your home, cover closing costs and make the home buying experience as simple as possible. We really care about our clients and what to buy your house today! Did you have really lousy tenants living your home? Did they damage your carpet, put holes in your walls or even take some of your appliances? No matter the condition of your home, we will buy your house! Contact us for a no obligation quote and a hassle free buying experience. Escape the woes of financial trouble and bankruptcy with help from Salt Lake Homes For Cash. 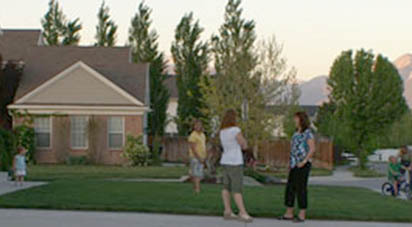 We buy houses in West Jordan at a fair price and even provide quick closings with no fees. We understand how unexpected circumstances can suddenly leave you with the need to sell your home because you can no longer afford the payments. Just know that you are not alone and we can help. We will buy your home at a good price, provide a quick closing and pay cash! Get your finances back in order and let us buy your home. Dont let the fear of not being able to afford living expenses prevent you from getting divorced. If a divorce is right for you and you need to sell your home, contact us today! We buy houses at a fair price and will even provide a no obligation quote on your house. Do what is best for you and let us buy your house! The death of loved one is a tragic experience and takes time to grieve and heal from the loss. Don’t let probate get in the way of your happiness or time to grieve. Salt Lake Homes For Cash will buy your house quickly and at a fair price. Take time for the more important things and let us buy your house today! Your job transfer may be stressful enough, but the thought of having to make two house payments because your house did not sell in time for your move, is even more stressful. If you are needing to sell your house fast, we buy houses fast! We offer a no obligation quote, a fair price and a quick closing so you can get on with your life. Selling your home takes a lot of motivation and time. You need to market your sale, send out mailers, put lock boxes on your home, provide tours-both virtual and in person, and have your homes listed on all markets. If you dont have time for this much work and your listing has expired, let us help! We buy houses and pay you cash! Complete the form on this page for more information. Just hearing the word foreclosure may make your head spin. The truth is that the foreclosure process is painful and hard. But if you act quickly you can either prevent it. We can help you prevent foreclosure! Let our investors buy your house today!